Make your own beautiful hand stamped jewellery in this fun FREE video tutorial complete with your own set of downloadable course notes. Learn to make the metal blanks to work from, how to sand-down a lovely curved shape in sterling silver, how to prepare the metal before stamping and how to finish your piece with a lovely silver chain. 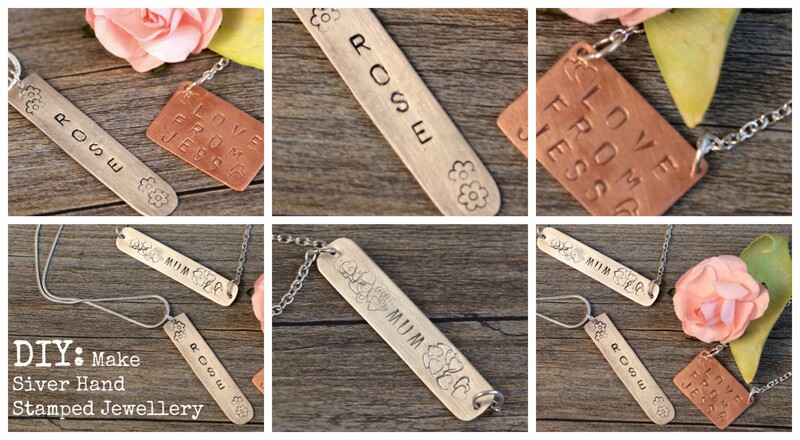 A full selection of hand stamped pieces. Once you learn the basics there will be no stopping you. Silver sheet: 0.7mm thick, 6cm long and 0.8mm wide.